With over 50 people with the rank of Under-Secretary-General, unsurprisingly the influence and power they wield within the UN System varies dramatically. The most important USGs, controlling budgets, programmes or key activities, are also members of the Secretary-General's Senior Management Group, whose objective is to ensure strategic coherence and direction in the work of the Organization. The cabinet was approved by the General Assembly in 1997 as part of the reform proposal submitted by Secretary-General Kofi Annan. The following is a list of Under-Secretaries-General or those with equivalent rank. This list is not exhaustive. Members of the SMG are indicated by an asterisk (*). 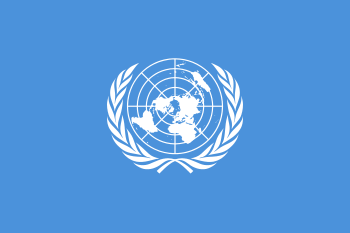 An Assistant Secretary-General sits beneath an Under-Secretary-General within the UN hierarchy. Assistant Secretaries-General are often deputies within Departments or Programmes, reporting to their respective Under-Secretary-General and through him/her to the UN Secretary-General. ↑ "Office of the Executive Secretary". United Nations Economic and Social Commission for Western Asia — ESCWA. Retrieved September 10, 2011.